Ever wondered why your four-legged friend found drinking form the porcelain throne so appealing? Here's your chance to find out without contracting an unknown strain of a super-virus. 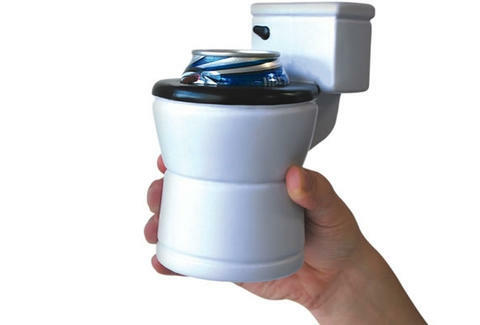 Designed to look like a toilet, this beer koozie is reusable and a breeze to clean, making it the only toilet you should be drinking a golden liquid out of.